How Does Direct Primary Care Fit Into Wisconsin's Search For Health Solutions? Aug. 14, 2018 | 10:30 a.m. Direct primary care is a healthcare model catching on among doctors and patients. Over recent decades, very wealthy Americans have increasingly bought into a model of health care that offers highly personalized, top-flight treatment outside of the traditional structures of health insurance and medical practitioners swamped with patients. It's called concierge medicine, and has become controversial in a time of growing wealth inequality and uncertainty over access to health care. For example, after the University of Michigan launched its own concierge program in 2018, medical professional groups voiced disapproval about a public institution devoting resources to that market. Following in the wake of concierge medicine is a similar model known as direct primary care, which is based on the idea that a more personal approach that's broadly affordable can alleviate several major choke points in the American healthcare system writ large. Patients using this relatively new model pay a doctor a monthly fee on a sort of subscription basis, rather than paying per visit or service and dividing that charge up among co-pays and insurance billing. That fee has often been around $100 per month, compared to thousands for concierge medicine clients. Because of a simplified approach to payment, direct primary care practices can in theory devote fewer dollars and less staff time to paperwork and other insurance-related overhead, and medical providers can in theory devote more time to giving patients one-on-one care. In turn, patients can spend more time with their doctors and make more primary-care visits without fear of running up additional medical bills. Because these medical practices aren't billing per-service or per-visit, they enjoy more flexibility to consult with patients over the phone or via video chat. While direct primary care hasn't come anywhere close to challenging the preeminence of conventional health insurance and its managed care systems, the idea is catching on among doctors looking to reduce overhead and make a notoriously stressful job a little less so, patients looking for alternatives, business and unions looking for cheaper coverage for their employees, and legislators looking for potential ways to drive down health care costs and eliminate regulations. A July 20, 2018 report on Wisconsin Public Television's Here & Now explored how direct primary care is playing out in the Badger State. Dr. David Usher, a physician at Eau Claire's ReForMedicine clinic, explained that he considers direct primary care a way to prevent doctors from burning out, while giving them more time to spend with a smaller number of patients. "In the standard world where you have to bill insurance on a fee for service basis, there's always an incentive to see one more person," Usher said. "Why? Because that's the only way you get paid." As the concept expands, neither healthcare system observers nor direct primary care champions seem to be able to say how many doctors have adopted the model in the United States. A July 2018 analysis in Journal of the American Medical Association cites an estimate that 13 percent of physicians in the U.S. are using "some form of direct payment models." An interactive map from the advocacy group Direct Primary Care Frontier shows dozens of practices spread across the country, including about 20 in Wisconsin. This site's map isn't comprehensive, though, as it doesn't include ReForMedicine. Meanwhile, the Direct Primary Care Coalition, an advocacy and lobbying group promoting the medical model, says it has 82 member practices in 36 states. Health research has provided very little empirical evidence of how well direct primary care works, either for patients outcomes or in economic terms. The model may have benefits for patients, doctors and the healthcare system as a whole. But lawmakers and regulators making decisions about health policy don't have a deep body of peer-reviewed research to draw on — rather, they'll mostly be hearing about the virtues of direct primary care from the doctors who practice and advocate for it. The authors of the JAMA article summarized the issue this way: "[Direct primary care] advocates suggest that these changes [to the health care model] yield significant improvements in both patient and population-level health outcomes, reducing the rates of hospital readmissions, specialist visits, radiologic and laboratory testing, and emergency care. Individual [direct primary care] practices have indicated that practice-level data on outcomes support these claims; however, no study, to our knowledge, has produced data to support anecdotal claims by individual practices. Health researchers in Wisconsin want more solid data too. "We don't have numbers of how many people are currently accessing this kind of care," said Donna Friedsam, health policy programs director with the University of Wisconsin-Madison Population Health Institute and an advisor to the state Legislature's study committee on direct primary care. "Sure, it's growing because it's a new thing, but whether it's growing rapidly, we don't know." 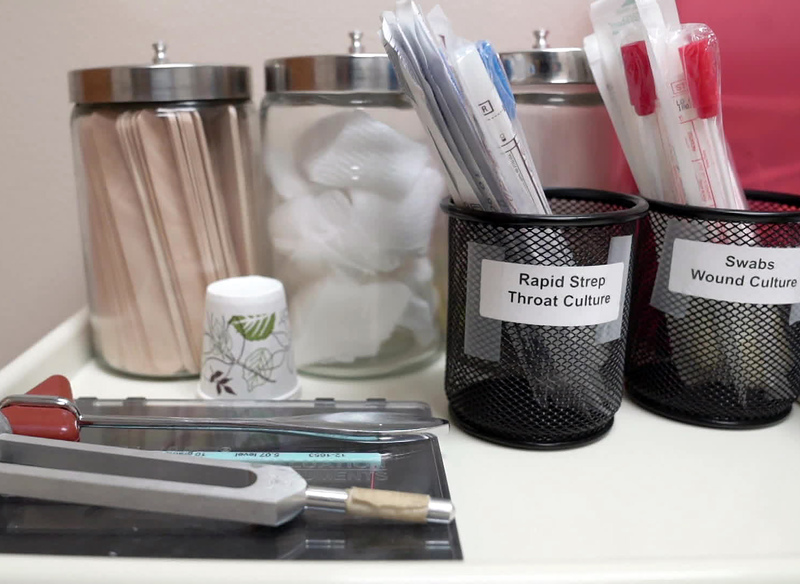 Larry Pheifer, executive director of the Wisconsin Academy of Family Practice Physicians, said his organization and its national parent organization support expanding the model, but he's still gauging interest in the state. "We surveyed our members a bit, and I think we had about 24 or 25 physicians say that they were doing direct primary care," Pheifer said, out of about 2,000 active members in the group. That would be just over 1 percent, and the group's membership accounts for about 82 percent of the family physicians in the state. Few physicians in Wisconsin are practicing through the direct primary care model. Despite the lower numbers of doctors practicing direct primary care, and the limited information about its outcomes, there's little doubt that interest is growing and a vocal handful of physicians around the country find its logic compelling. Dr. Josh Umbehr, a Kansas-based direct primary care physician and a prominent advocate for the model, said his pitch to companies looking for an employee health plan is that it can reduce their insurance costs by 30 to 60 percent. He grants that there isn't a substantial body of research demonstrating direct primary care's benefits at a systemic level, but in the same breath he's dismissive of a need for such analysis, claiming that there just isn't a proper yardstick yet. "No, there's not a lot written on quote 'outcomes' because that's just a huge debate in healthcare right now," Umbehr said. "What I say is, where is the evidence the current model's working?" Umbehr points to research findings that patients who stick with the same doctor over time experience lower mortality rates. Reviewing 22 previous studies, researchers in the United Kingdom found that "continuity of care," in their parlance, correlated with reduced mortality. But the authors were careful to point out that this literature review, which covered 1996 through 2017, did not prove that continuity caused the lower death rates. The researchers were able to measure how often a given patient visited a given doctor, but not the more intangible factors that would define the quality of that relationship. The studies in the literature review don't specifically address direct primary care — for instance, one focused on diabetes patients in Taiwan — but it does suggest that cultivating the kind of long-term, accessible relationships direct primary care doctors seek can benefit patients. When discussing the broad value of healthcare research, Friedsam said that there may be debate about how to measure specific outcomes, but that shouldn't be a hindrance toward gathering rigorous evidence of how a given model or specific type of practice is working out. "For the past 20 years, there's been a very strong effort to measure healthcare processes, healthcare quality and healthcare outcomes, and it certainly is not perfect, but we have moved toward holding healthcare accountable for the quality of outcomes," Friedsam said. "There's a massive literature on measuring healthcare quality and costs." Friedsam and other researchers suspect that the patient population using direct primary care skews healthier, wealthier and whiter than the overall population. If that's the case, even the most thorough research on the patient outcomes and economics of direct primary care may not say much about how the model would help people who don’t have reliable healthcare access. A 2015 position paper in the journal Annals of Internal Medicine went so far as to assert that direct primary care practices could "exacerbate racial, ethnic, and socioeconomic disparities in health care and impose too high a cost burden on some lower-income patients," and urged both doctors and policymakers to make sure that practices using the model find ways to "mitigate any adverse impact on the poor and other underserved populations." However, none of these concerns negate the potential benefits of direct primary care. Instead, it means that medical professionals and policymakers don't have a good way to know how expanding the model — and specific approaches to regulating it alongside specialized care and the broader healthcare system — might work.